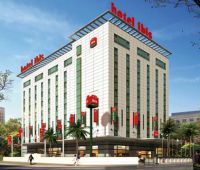 Two new ibis hotels have opened in India, the ibis Navi Mumbai and ibis Nashik. The properties predominantly cater to business travellers in the upcoming commercial regions of Mumbai and Nashik. 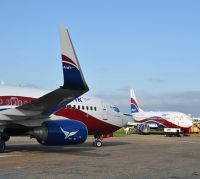 Douala, Cameroon’s commercial capital, is the latest destination of Arik Air, said to be West and Central Africa’s largest airline. The first commercial flight took place on Thursday 30 August and operating subsequently thrice weekly on Tuesday, Thursday and Saturday. 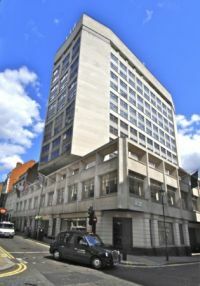 Ascott, the apartment specialist, has signed an agreement to acquire the Cavendish Hotel in London’s Mayfair for £158.8m. The company will manage the 230-room hotel from the fourth quarter of 2012 and will subsequently transform the property into a luxurious serviced residence under the premier Ascott ‘Residence’ brand, renaming it Ascott St James London. An Australian called Nikos Loukas, and based in Germany, recently undertook a flying journey across Europe sampling 22 airlines and their in-flight meal options. During the trip Nikos flew 2-4 different carriers each day. He took photos, timed cabin crew service levels, reviewed the in-flight meal purchases and compiled a video of the whole experience. Aerolíneas Argentinas has become the 18th member of Skyteam. 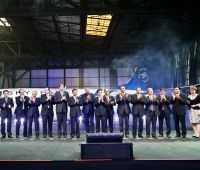 The national airline of Argentina – South America’s second largest economy – is the alliance’s first South American member, adding 40 new destinations to the network. Aerolíneas Argentinas operates services to 52 destinations in 14 countries from its two hubs at Buenos Aires, including a comprehensive domestic network of 35 destinations within Argentina itself. These include popular tourist attractions such as: the Patagonian capital of Ushuaia, the spectacular Iguazu Falls, the world-renowned wine producing region of Mendoza, as well as the industrial centres of Córdoba and Rosario. 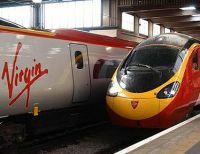 In spite of a guarded response by current Transport Minister Justine Greening no contract has been signed regarding the future of the West Coast Main Line rail services. Quite what that will happen next is unclear due to legal restraints. The proposed Ryanair takeover of Aer Lingus rolls on, but from a Michael O’Leary point of view the proposal is not dead. The EU now says it is looking into the deal and would decide by 14 January whether to clear or block the deal. Mr O’Leary first proposed a takeover in 2007 and this is at least his third attempt to acquire the former Irish flag carrier Aer Lingus. 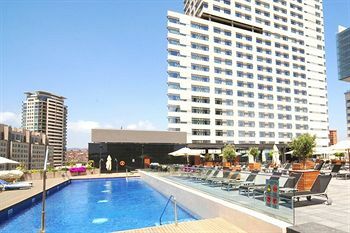 The newly refurbished Hilton Barcelona, has officially re-opened 20 years after its launch in time for the Barcelona Olympics. The refurbishment sees 289 stunning rooms, 13 suites, Mosaic restaurant and there is a spectacular outdoor terrace called the Vibe Bar. The hotel is among the first Hilton Hotels & Resorts properties in Europe to incorporate the brand’s new innovative lobby design narrative. The much-anticipated New Doha International Airport (NDIA) has been delayed and will not open for passenger traffic until the second half of 2013, according to an article in The Moodie Report. The original scheduled opening date was 12 December this year but this has been delayed due to the airport operator deciding to part company with a key contractor. Hilton Garden Inn has opened its second property in Poland at Rzeszow, 200 miles south of Warsaw and near the Ukraine and Slovakia borders. 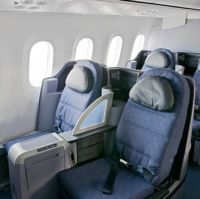 It is serviced by Ryanair from a number of UK airports. YO! 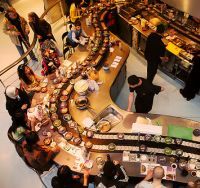 Sushi has opened its largest airport restaurant in Gatwick’s North Terminal. It follows closely the addition of the new Jamie Oliver restaurants at the airport. A strike by Lufthansa cabin crew disrupted hundreds of flights on Friday (1 September), stranding thousands of passengers who faced further delays over a busy holiday travel weekend from a rolling series of stoppages about pay and cost cuts. 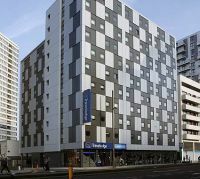 Dubai International Capital, which bought the Travelodge budget hotel group in 2006 and was once part of the Forte hospitality group, has relinquished control to a consortium of Goldman Sachs, GoldenTree Asset Management and Avenue Capital Group. 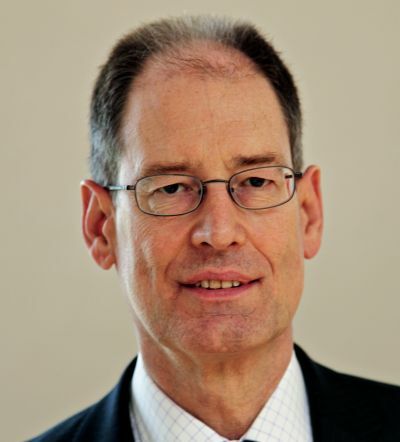 It is part of a restructuring process which it says will secure the long-term future of the business. Buckingham Palace is probably the world’s best known building in this technological age. 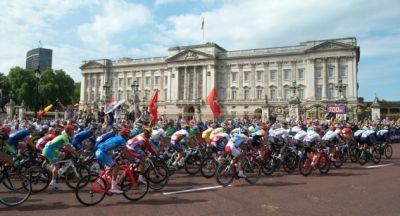 Suffice to say it received tremendous media coverage during the Queen’s Diamond Jubilee celebrations only to be topped as the backdrop for the London Olympics endurance events. Since 1993 the State Rooms of the Queen’s official London home have been open to the public during August and September and will this year close on Sunday 7 October. The trickle of Boeing 787 deliveries is beginning to speed up with four Dreamliners handed over to airline customers in August, bringing up a grand total of 19. 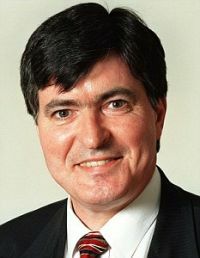 Last week Westminster began to wake up with Members due back for a couple of weeks today (Monday 3 September), a Government reshuffle and the Party conferences still to come. Current Transport Minister Justine Greening repeated the Government’s “no third runway” stance, her own position since winning the Putney seat, with the Heathrow flightpath high above her constituency. Changi Airport has welcomed the arrival of Drukair, the national carrier of the Kingdom of Bhutan, which is situated in the Himalayas between China and India. A special inaugural flight from the Bhutanese city of Paro carried on board Her Royal Highness Princess Chimi Yangzom Wangchuck, the eldest princess of the Bhutan royal family. One of the world’s less glamorous airlines, a Star Alliance member that has been successfully around since 1945, is likely to operate the first scheduled passenger flight by a Boeing 787 Dreamliner out of Heathrow, the world’s busiest international airport. Ethiopian Airlines, which is also the first airline outside Japan to operate the new Boeing, plans to fly its initial Dreamliner to London on 17 September. The car hire company Hertz has bought its rival Dollar Thrifty for US$2.3bn (£1.5bn) after a long and protracted takeover battle. Hertz's boss, Mark Frissora, has spent the last five years trying to buy Thrifty, in what is expected to be the last vehicle rental company consolidation that US regulators will allow. 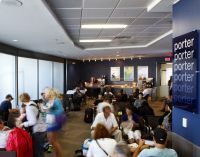 The airline war for carriers between New York and Toronto took another turn last week when Porter Airways introduced a courtesy lounge adjacent to its regular gate at Newark Airport. The Canadian carrier operates up to 12 return flights daily to Toronto City downtown airport with 70-seat Bombardier Q400s. The lounge is open free of charge to all Porter passenger and features comfortable seating, wi-fi, cold beverages, specialty coffees and snacks. Following the announcement of its international plans for the Boeing 787 Dreamliner, commencing Amsterdam 4 December, United Airlines has now published details of the domestic introduction. As the initial aircraft are inducted into the fleet, they will be based at United’s Houston hub. The first aircraft is due late September with the second in October and two more in November and a final one this year in December. There will be initial proving/validation flights and training activities that allow United to meet FAA certification requirements.